When it comes to creating ambiance and warmth in a room, nothing beats a fireplace. 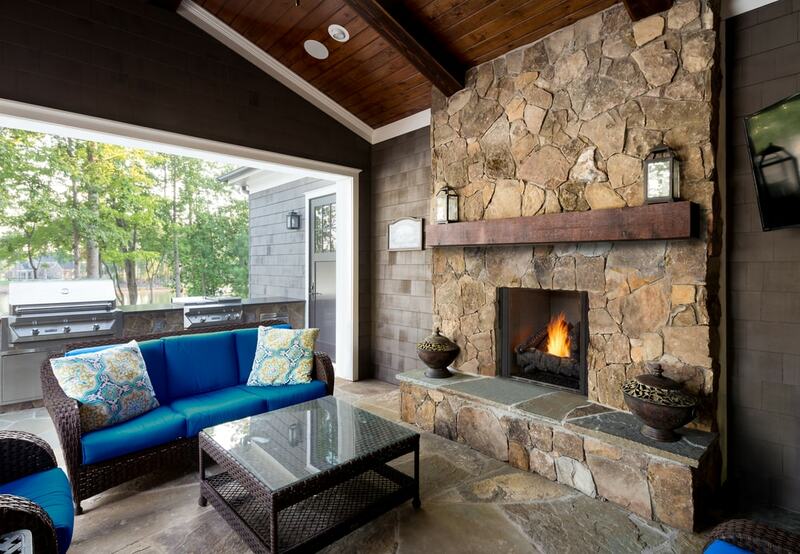 But did you know a fireplace can also contribute to lower heating costs? Or that you can significantly boost the efficiency of your existing wood-burning fireplace by having an insert installed? Fireplaces and stoves help to combat high heating costs. You can reduce heating costs by turning down the central thermostat and zone heating the areas where you spend the most time with an energy efficient fireplace or stove. Some homeowners can reduce heating costs by 20-40 percent (according to the HPBA). No fireplace? You can add one to your existing home – no chimney construction required. Made possible by direct vent technology, a gas fireplace is vented to the outdoors via a dual-chambered single pipe that runs through the side of the house to the outdoors, drawing air needed for the fire and expelling the fire’s byproducts outside the home. No expensive chimney construction required. You can turn your inefficient fireplace into a heating powerhouse with an insert. Update your drafty masonry built wood-burning fireplace with an energy efficient fireplace insert. Professional installation can be completed in as little as six hours, and can make your fireplace up to 85 percent more efficient. Wow. See the many options for inserts here. You can control the heat. Many fireplaces and stoves can be thermostatically controlled – you decide how much heat you want and change it as desired. Some gas fireplaces even allow you to control the height of the flames, and have LED lighting in the embers that can be turned on or off. Fireplace design is pushing traditional boundaries. If you prefer contemporary interior design, check out the hot new fireplace designs – simply elegant! Inspired by European design, many are linear in shape, like the Rave Series, showcasing a panoramic view of the flames. With colored glass media, shiny metal and materials like black onyx, these are not your grandparent’s fireplaces!